Track my MN Tax Refund. MN Refund Tracker. Where’s My Minnesota State Refund? For more information, you can visit the website of Minnesota Department of Revenue. Minnesota Department of Revenue here. You can visit Minnesota’s tax agency website for MN sales tax information. Amount of Refund Requested when filing Individual Income Tax. Please be advised that this application can only be used for inquires related to Individual Income Refunds. Minnesota has four state income tax rates: 5.35 percent, 7.05 percent, 7.85 percent and 9.85 percent. More on Minnesota taxes can be found in the tabbed pages below. Minnesota collects income taxes from its residents utilizing three tax brackets. 5.35 percent on the first $24,270 of taxable income. 7.05 percent on taxable income between $24,271 and $79,730. 7.85 percent on taxable income of $79,731 and $150,000. 9.85 percent on taxable income of $150,001 and above. 5.35 percent on the first $35,480 of taxable income. 7.05 percent on taxable income between $35,481 and $140,960. 7.85 percent on taxable income of $140,961 and $250,000. 9.85 percent on taxable income of $250,001 and above. 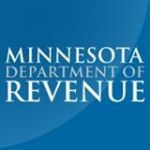 Residents of Minnesota must file state returns by April 15 or the next business day if that date falls on a weekend or holiday. A complete list of all Minnesota taxes can be found on Minnesota’s Revenue website. 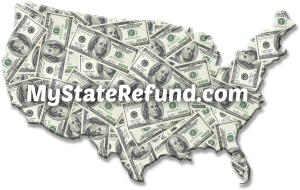 This entry was posted in Minnesota, State Refund Information and tagged 2014, 2015, 2016, 2017, Minnesota State Refund, MN\, Tax Refund, Where's My Minnesota State Refund?. Bookmark the permalink. Follow any comments here with the RSS feed for this post. Both comments and trackbacks are currently closed.